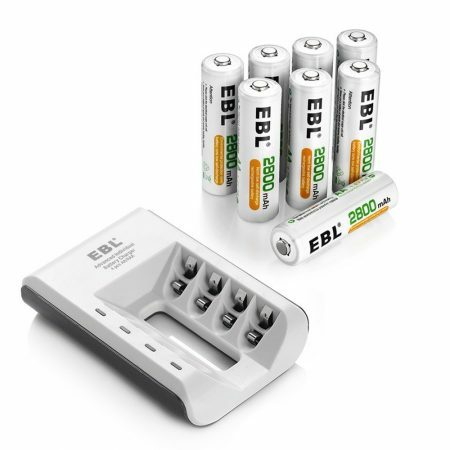 ● Recharge or discharge for 1 to 4 pieces of AA/AAA/C/D Ni-MH Ni-Cd batteries; It can charge 1 to 2 pieces of 9V Ni-MH Ni-Cd batteries respectively. 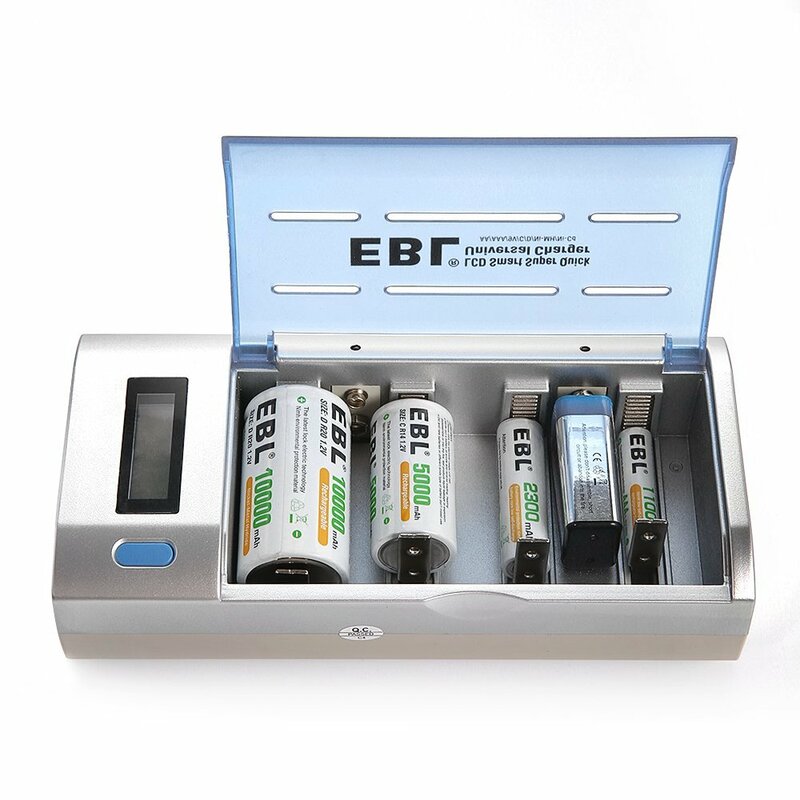 ● Unique designed with LCD display screen to indicate the battery(AA/AAA/C/D Ni-MH Ni-Cd batteries) status: Charge, Discharge, Full or Bad. 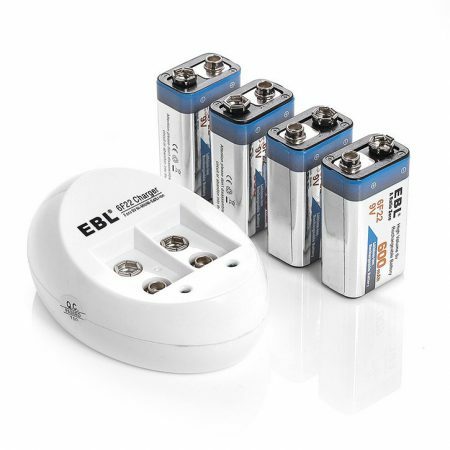 The LED indicators are for 9V Batteries only, when charging 9V batteries, the LED turns red, and turns off automatically when fully charged. 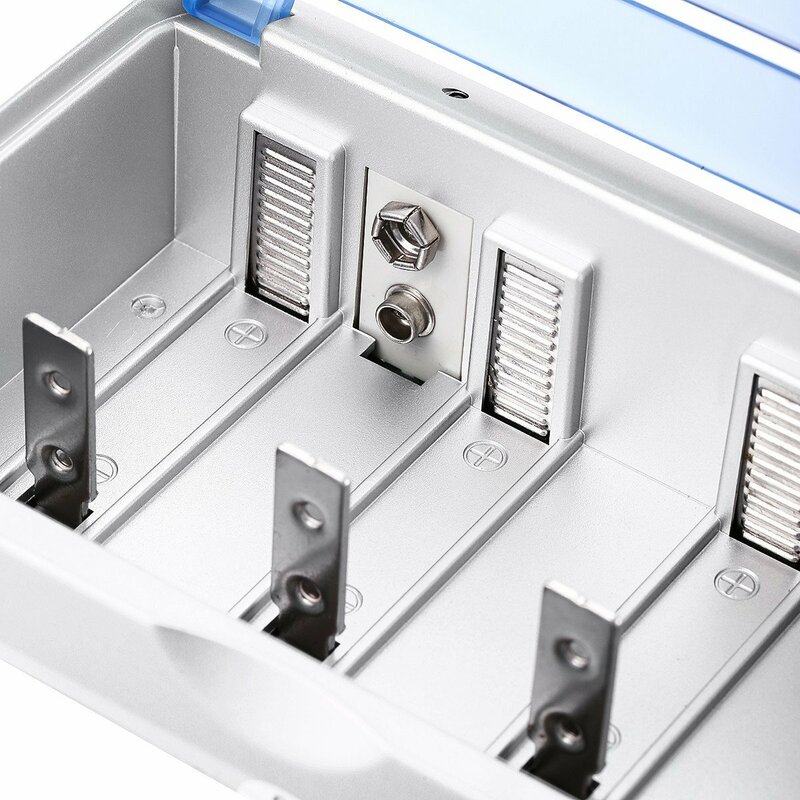 ● Press the blue discharge button for the discharge mode. 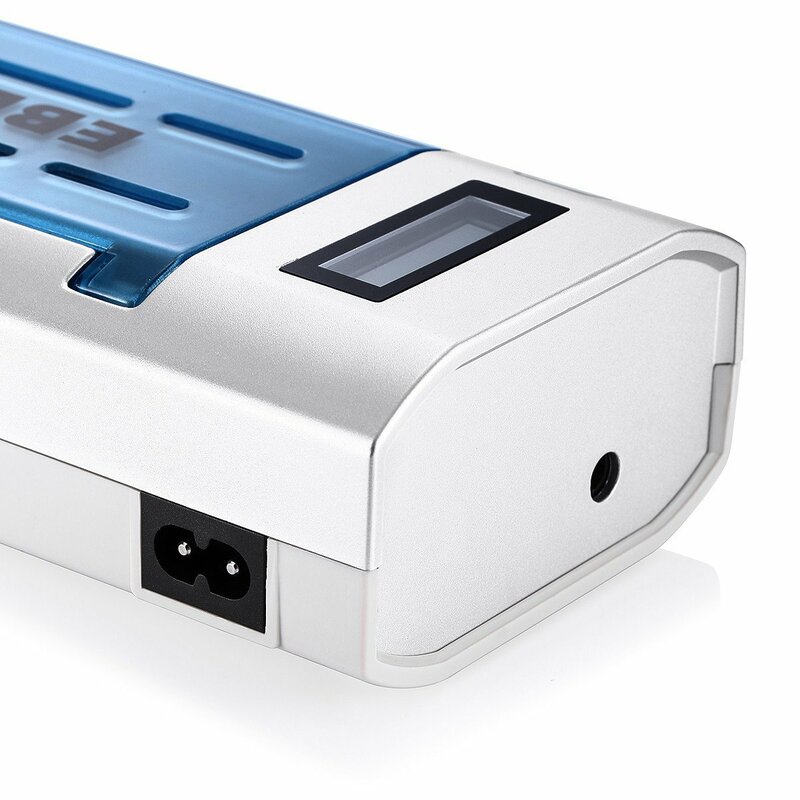 It can automatically turn into charging mode when fully discharged. 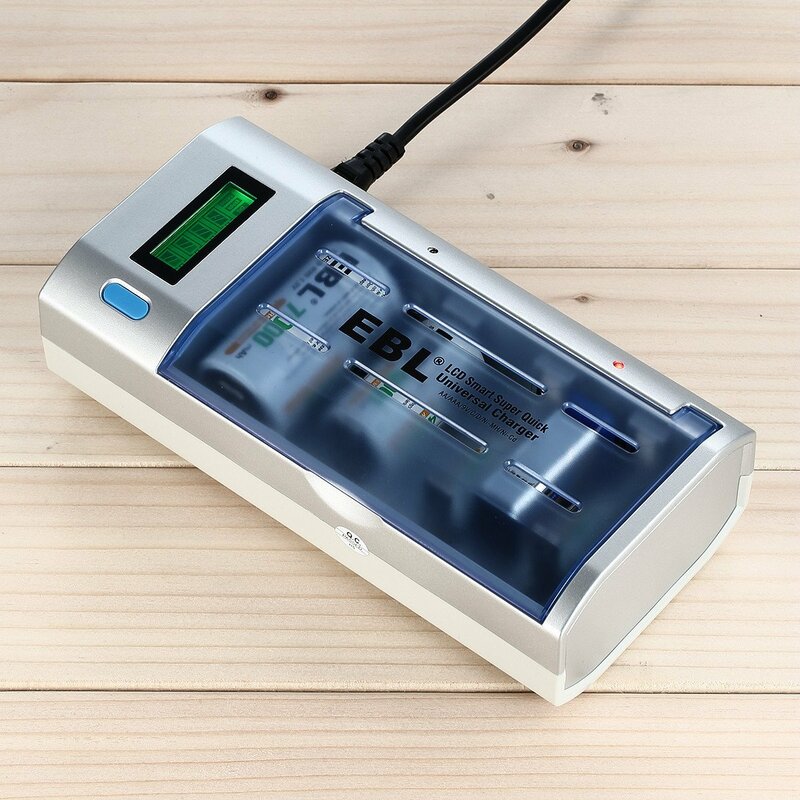 ● Intelligent micro processor control: the built-in microcomputer chip will convert the charging mode from fast charging to trickle charging when batteries are almost fully charged to totally guarantee the full charging. 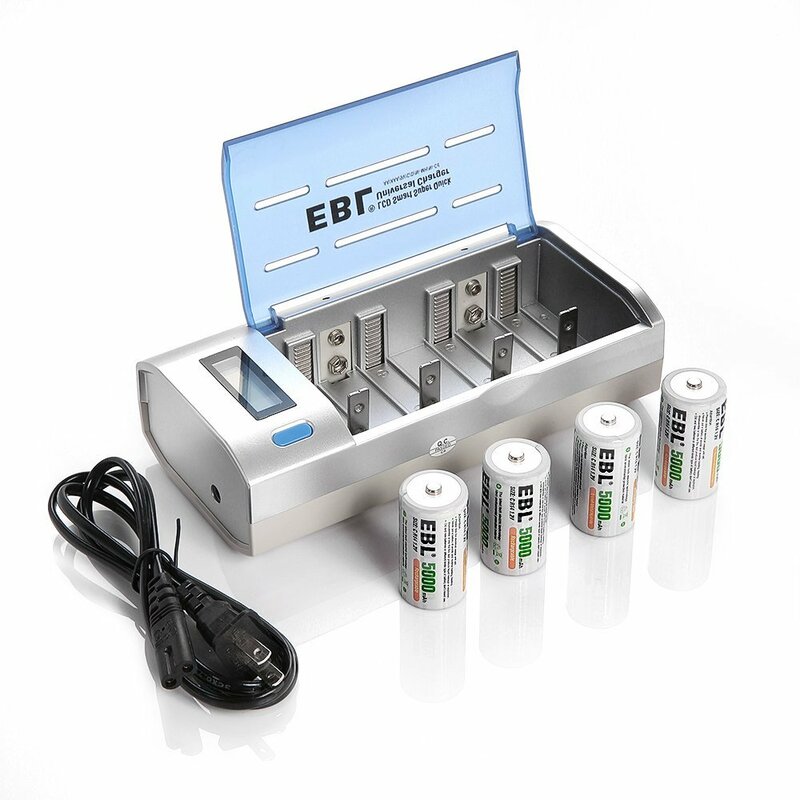 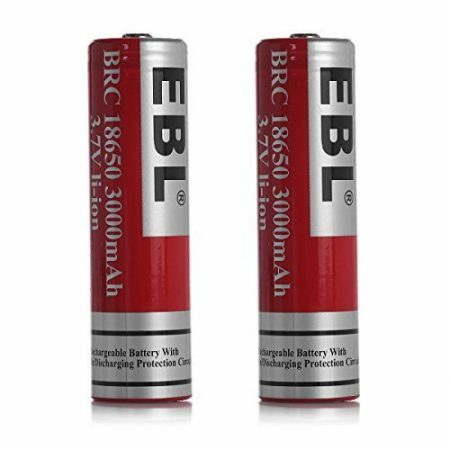 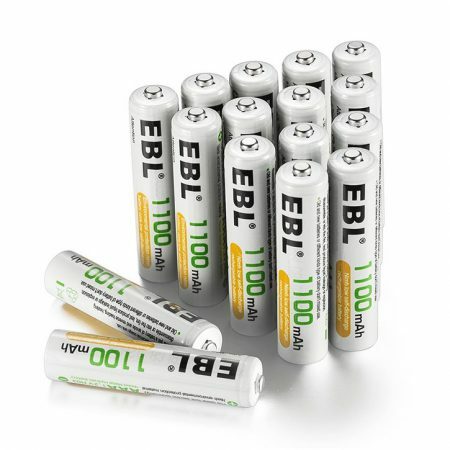 EBL E906 battery charger is the latest universal smart battery charger particularly designed for AA/AAA/C/D/9V Ni-MH/Ni-Cd rechargeable batteries. 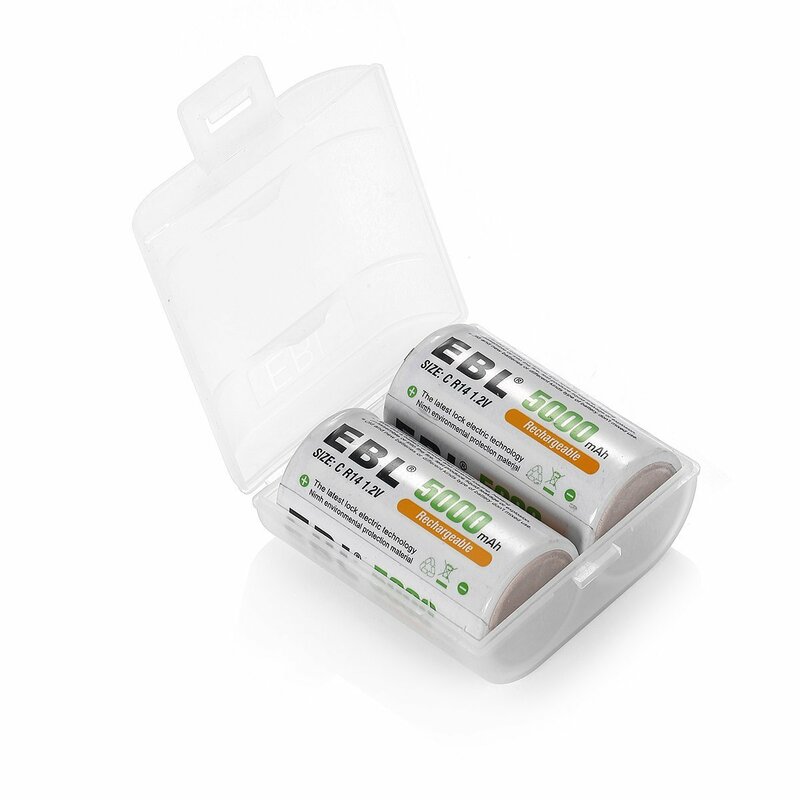 It has both AC and DC plugs, and the smart LCD clearly shows the charging status of each battery (LED for 9V). Besides, this charger can both recharge and discharge the batteries by switching the blue button below the LCD screen. 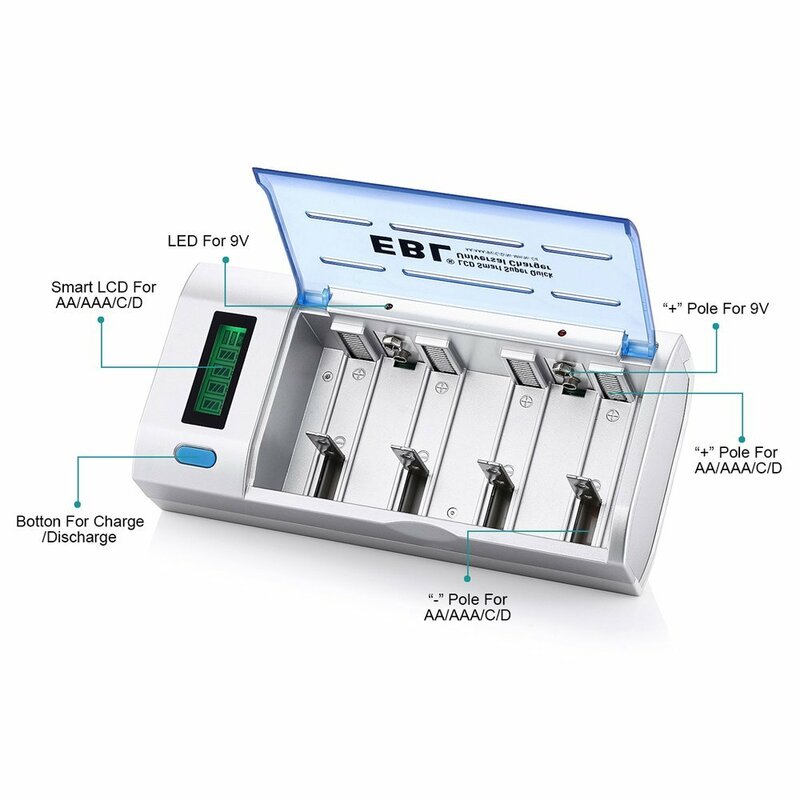 Moreover, the negative delta V (- ∆V) cut-off function gives multiple proection including overcharge protection, short circuit protection and non-rechargeable or bad cell detection, which makes it safe and easy to use overall.